day 611: stop mind-automation, be the director. Breathing with awareness ‘returns’ the substance from the mind to the body whereas thinking does the reverse. So a nice breath, breath-in, hold, breath-out. I was listening to Mykey today (part 41), interesting point he made, “consciousness stimulate the thinking and imagination” something like that, meaning, if you’re not the director of thinking, then, thinking simply ‘happens’ to you, automatic-thinking. That’s where we get lost. So nothing ‘wrong’ with thinking/imagination as such, the only question is: are you the director of it? Are you directing your thinking/imagination? Or is it simply happening while you just participate in it? So breathing pauses the mind-automation. Observing this is the key, when you notice the mind-automation, simply breathe with awareness, and stop it. I mean this is a basic point in desteni message, long before creating a world that is best for all, one must learn to stop the automation of the mind. I mean if you investigate, you will notice, that mind-automation is a cause for conflicts in this world. 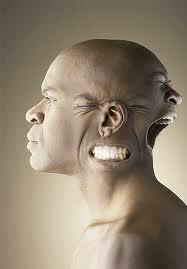 Our minds blindly tell us who to attack and who to blame etc, as we are always in ‘conflict’ with somebody. And this pattern is visible out in the world too. War in Gaza is an outflow consequence of our mind-automation. Mind thrives on conflicts and drains life at the same time. Man is so evolved he can even annihilate himself and the planet, that too part of mind-automation. I forgive myself that I have accepted and allowed myself to not see/realize as and when I am participating in my mind’s automation of thinking and imagination, I am directly and/or indirectly participating in conflicts and perpetuating conflicts. When the automation of the mind stops, I am here as breath as life. Within that I am able to resolve conflicts, create solutions for myself and for this world. So what does all this mean? Self-awareness, observe, stop, breathe, live here, physical, don’t ride the mind-automation. I forgive myself that I have accepted and allowed myself to not see/realize stopping the automation of my mind is the foundation from which I can correct myself, I mean self-transformation begins there. As long as the mind runs on automation, I will remain its captive. Cool, that’s it for tonight. I commit myself to be vigilant about this mind-automation, as and when I see I am riding the mind-automation, I stop and i breathe. Previous Postday 610: stop manipulating othersNext Postday 612: ‘ghetto justice’ or justice for all life?